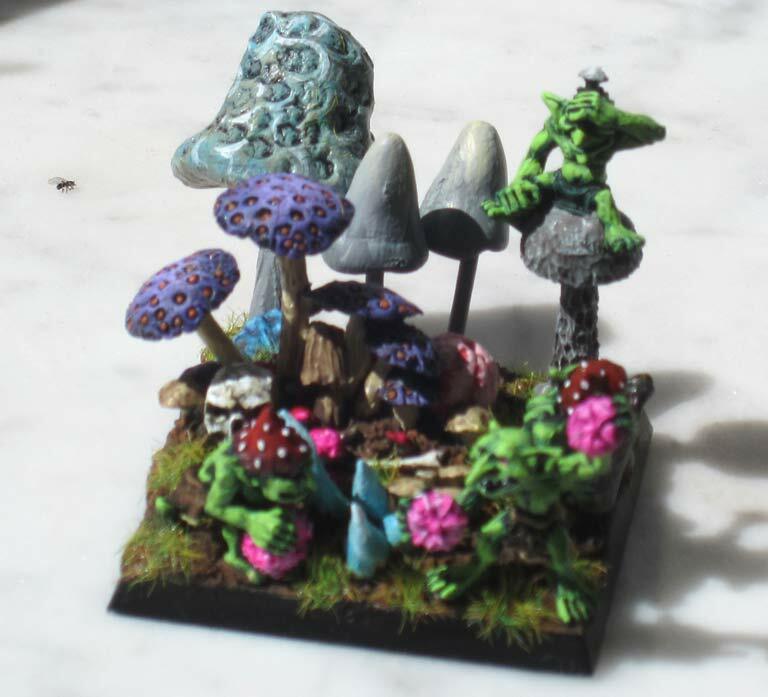 A snotling base. 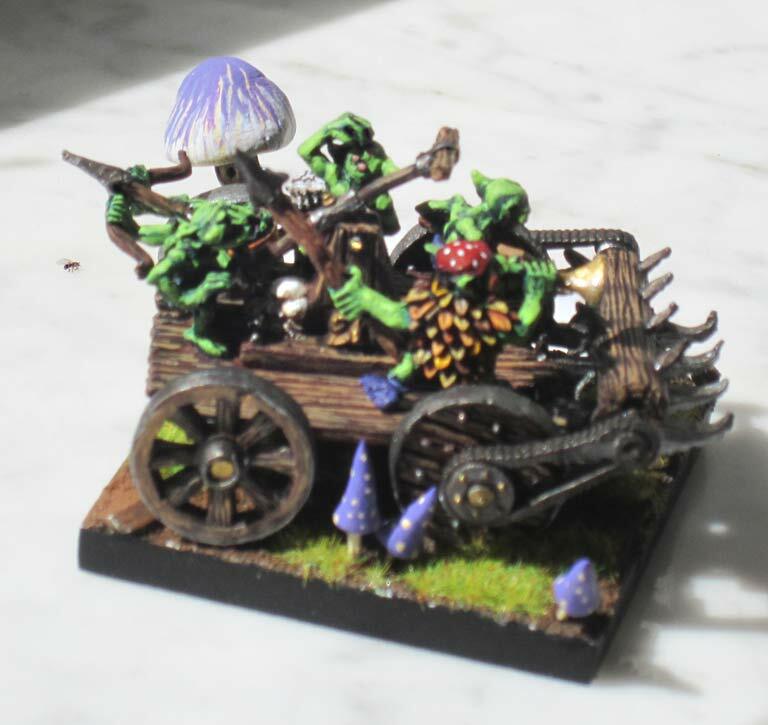 Only another twenty odd to go for my Snotling army. This month’s workbench will start a couple of days late. 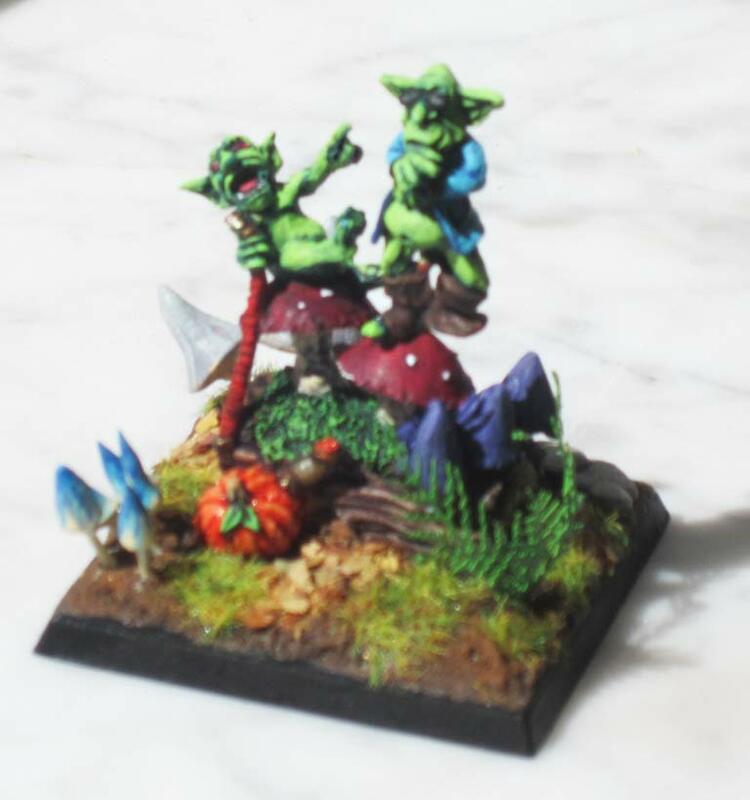 I’m just finishing off some of my all time favourites, Snotlings. 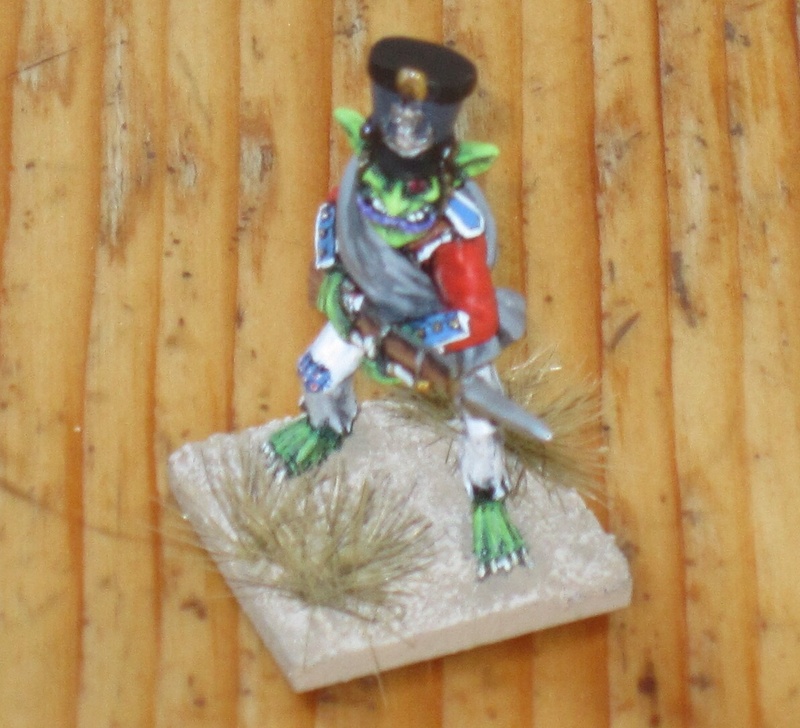 I finished my Romans early so I did a Goblinaid figure, Paul Hick’ Napoleonic Goblin. It was an opportunity to try out paints for my Red coats. After a bit of looking through books the uniform looks rather Frenchie. It is fantasy so I don’t think anyone will complain, too much. 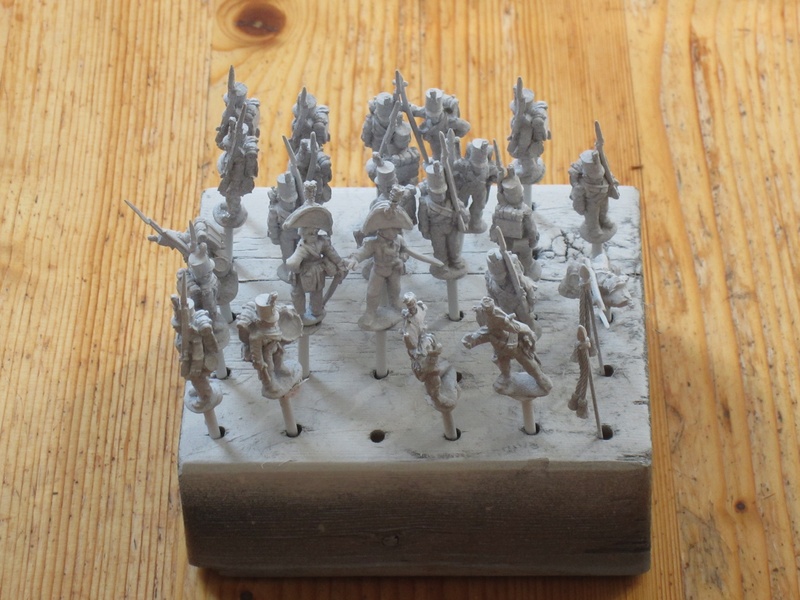 If I feel brave I might take one of my 95th Rifles and experiment with darkening the uniform as it is too light.